Is the décor in your home a little dated? Are you looking to transform it with professional decorating services? Southampton residents, you need to look no further than Acorn Builders, a company with years of experience. We can provide you with stunning results, completely tailored to your style. To find out more, please call us today on 023 8024 3336 or 023 8178 0546. When you are planning to redecorate your home, it is important to hire a professional company, one with a reputation for achieving outstanding results. 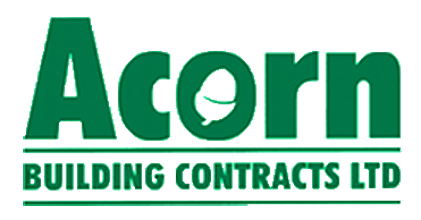 Here at Acorn Builders, we have years of experience in providing the highest quality plastering and decorating services in Southampton. If any furniture requires moving before decorating and plastering work commences, we will handle it appropriately. Additionally, we will provide clean dust sheets to cover carpets and furniture, ensuring that your furnishings are protected at all times. Our team can decorate a single room or the whole home, depending on your requirements. With our decorating services, Southampton residents can rely on us to handle every aspect of the project. We can make improvements to ceilings, walls and woodwork in addition to being able to treat wooden floors with a variety of finishes. An important part of the decorating process is choosing a colour scheme, and at Acorn Builders, we can provide Dulux colour swatches. 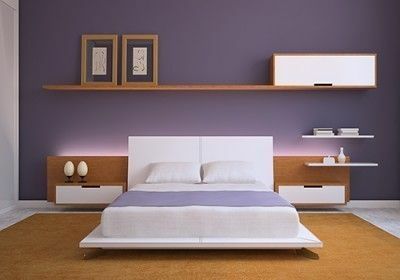 This allows you to choose the right colours and shades for your home. Once you have chosen, we can brush, roll or spray any surface of your home in Waterborne or oil-based paints. A popular choice for many homes is wallpaper due to its often striking appearance. If you decide on wallpaper for your home, we will start by stripping off any existing papers and plastering small areas of the wall if needed. We can hang all aspects of wall coverings, from lining paper and textured vinyl to silk paper and hand painted papers. Any wall coverings we apply with our Southampton decorating services will be finished to the highest quality. One aspect of our decorating services in Southampton is internal plastering. Our team are highly skilled and experienced in this service and, as such, they are able to plaster a range of areas. From dry lining and plastering from brickwork to skimming, coving, and screeding, we can help. In addition to internal plastering, we can also handle external plastering. Whatever your needs, Acorn Builders have the experience and knowledge to exceed your expectations. We have consistently been a leader in the plastering field, so you know you’re dealing with the professionals. Acorn Builders is a company that has years of experience in every aspect of building services, and we take great pride in the quality of our work. Every project we undertake, whether extensions, bespoke kitchens, or decorating services in Southampton is carried out by skilled and highly experienced tradesmen. When combined with our competitive rates, we believe we offer one of the best building services in the area. If you are looking for a reliable, reputable team to undertake your decorating services, Southampton clients need to look no further. Our services are of such outstanding quality that we are members of and accredited by a number of industry bodies. These include The National Federation of Builders, The Construction Confederation, and Checkatrade. As a company that prides itself on customer service and exceeding expectations, Acorn Builders are happy to say that most of our work comes from recommendations and word of mouth. This means that previous clients have been so satisfied with our services that they highly recommend us to others. In Southampton, decorating services don’t get more reliable, professional, and high quality than ours. Don’t just take our word for it though. If you would like to see photo evidence of our high-quality results, please browse through our gallery page. Once you do, we are confident you will understand why we’re the premier choice for any building service, including decorating services, Southampton offers. For further information about our decorating services, Southampton residents can contact us today on 023 8024 3336 or 023 8178 0546. Alternatively, you can send us an email at acornbuilding@gmail.com or fill out our simple online form and we will respond as soon as possible.